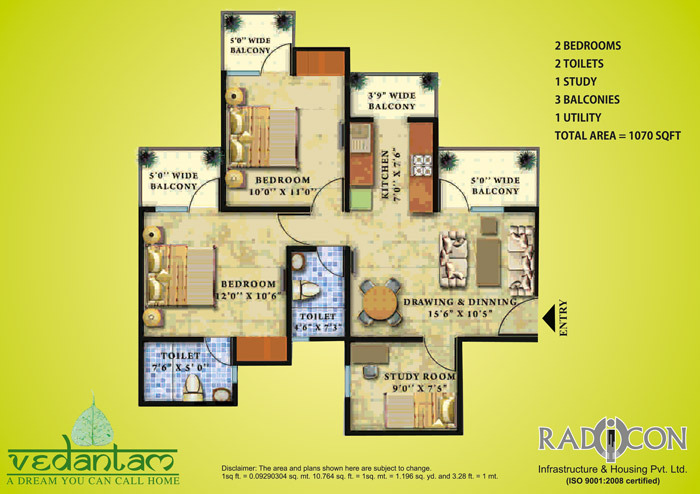 Radicon Infrastructure & Housing Pvt. 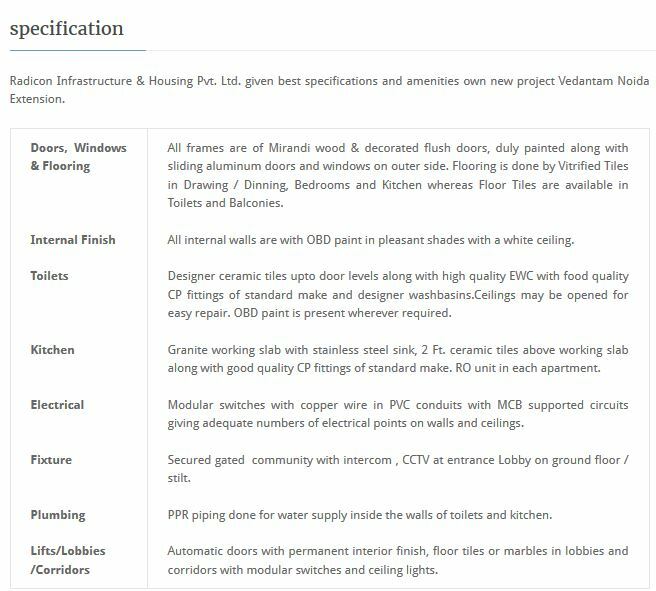 Ltd. proudly present to you a new residencial apartments named as Vebantan. 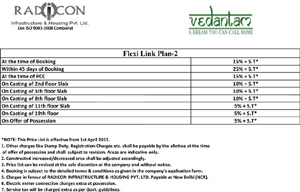 Radicon Vedantam is located at prime location of Noida Extension. 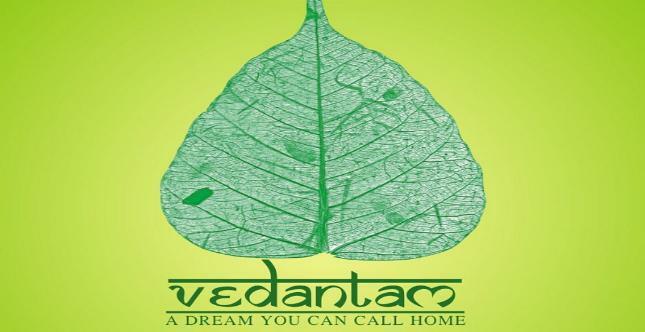 Vedantam new project offer 2-BHK, 3-BHK, 4-BHK apartments are available in affordable prices at Noida Extension. 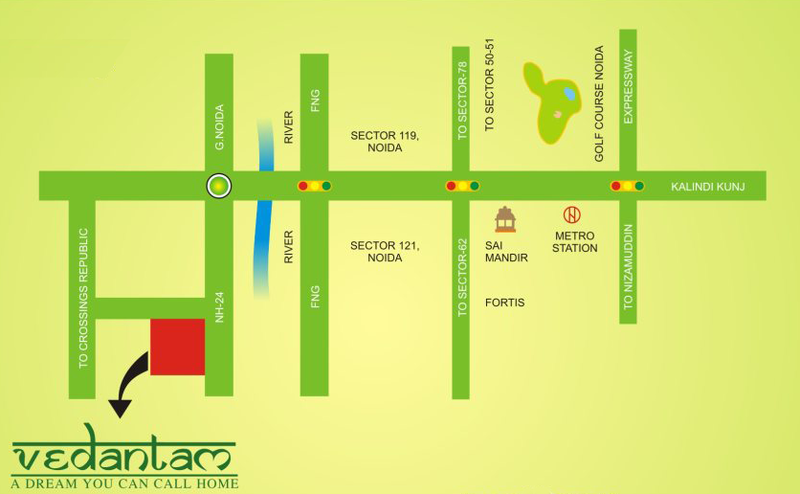 Located in Greater Noida at a distance of just 5 kms from the Sai Mandir, these two side open corner plots are directly accessible from NH24, Ghaziabad, Noida and Delhi. 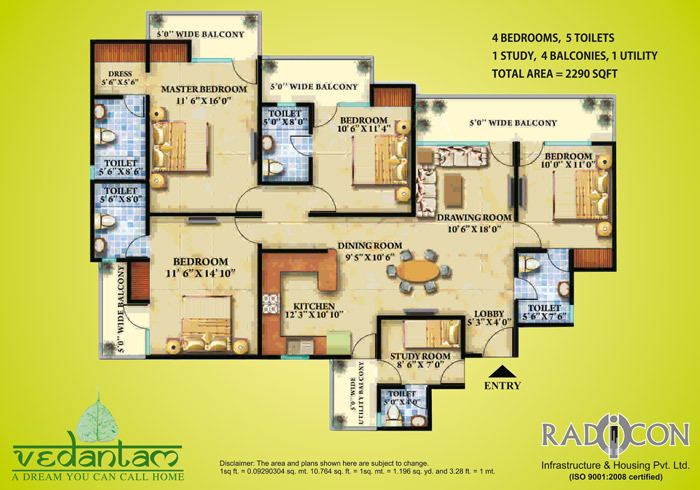 2 BHK + 2T / 780 Sq.Ft. 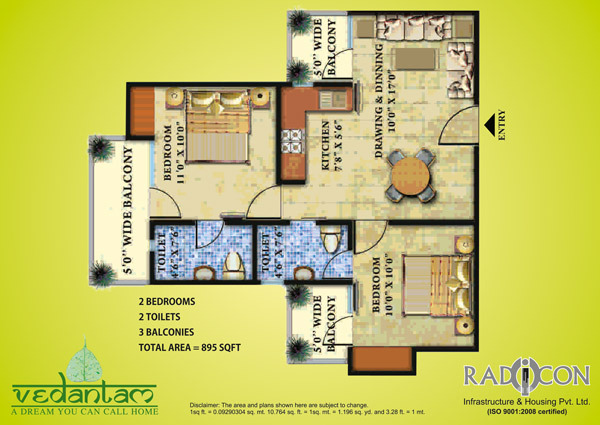 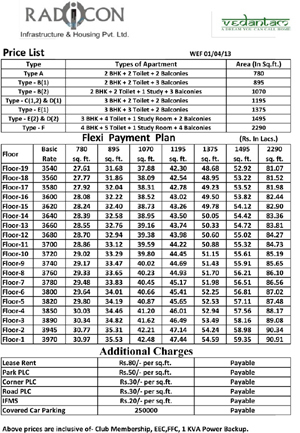 2 BHK + 2T / 1070 Sq.Ft. 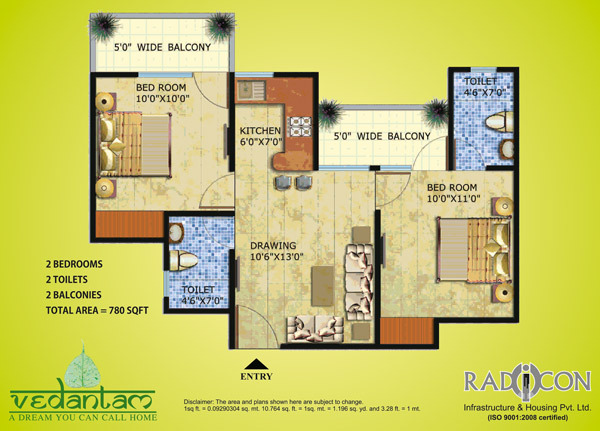 3 BHK + 2T / 1195 Sq.Ft. 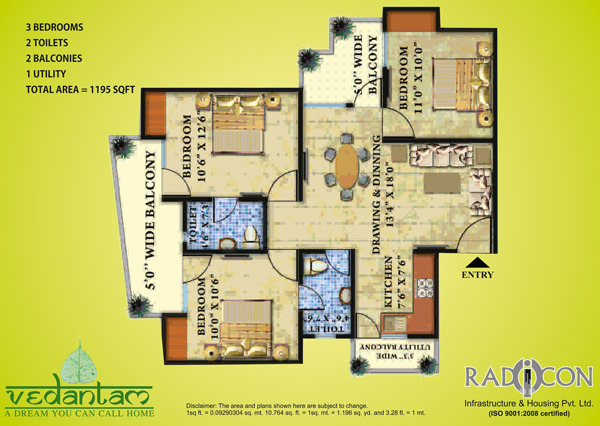 3 BHK + 3T / 1375 Sq.Ft. 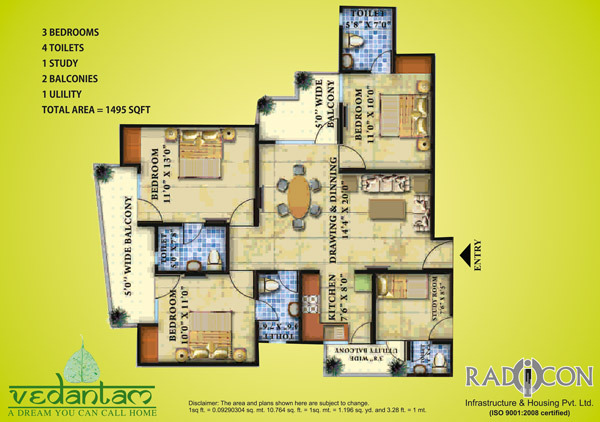 3 BHK + 3T / 1495 Sq.Ft. 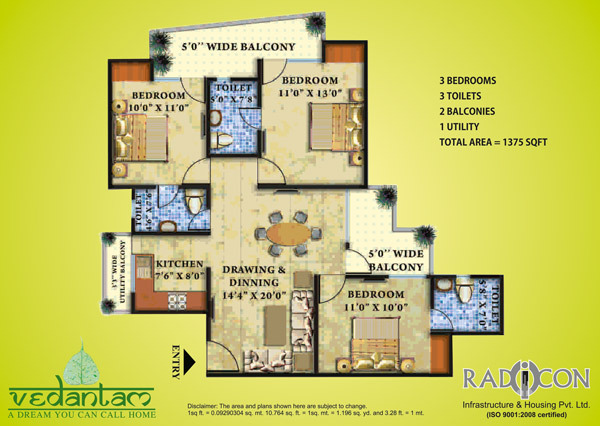 4 BHK + 4T / 2290 Sq.Ft.